I adore John Green! He is a wonderfully talented writer who creates stories that wrap you up in a perfectly constructed quilt of complex characters and heartbreaking romances. 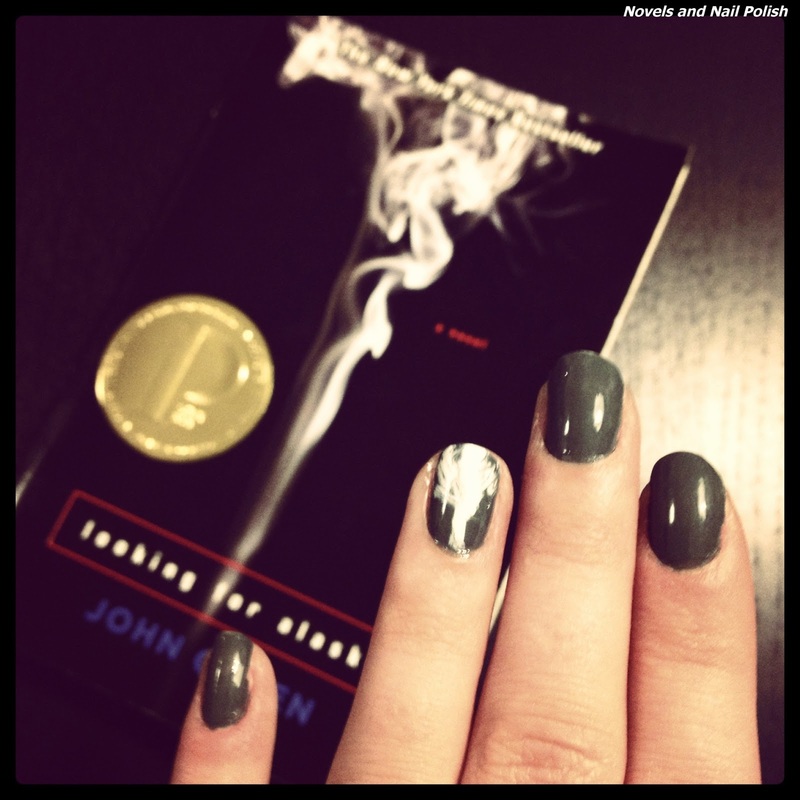 I couldn’t pass up the opportunity to use the very intriguing cover artwork of Green’s first novel, Looking for Alaska, as inspiration for my first manicure to be featured on Novels and Nail Polish. You’ll come to learn I have a few certain brands of nail polish that I love to use, and one is Ciate nail polish! I used Vintage, a rich shade of asphalt grey, for the base color. It applies very smooth and only takes two coats to become completely opaque. My review of Green’s first novel is on its way soon. Happy reading! Instruction on how to do?